One of the earliest accounts mentioning the Kleine Rivier is the journal kept in 1707 by Jan Hartog (also Hartogh), head gardener of the Dutch East India Company (VOC). On a barter trip in the Overberg they grazed their cattle at the river then only known by its Hottentot name, the gonuka goggo, the “little river”, or in Afrikaans the “klein rivier”. Another reference is found in the resolutions of the Council of Policy of the Cape of Good Hope (March 1710) when reference was made to the wood that could be obtained in abundance from the forest at Riviersonderend, eight days’ travel from the Cape of Good Hope and one day’s travel from the sea, where there is a bay named “de Klijne Riviersvalleij”. In January 1723 a salvaging party sent to the wreck of the Dutch Indiaman the Schoonberg (or Schonenberg) travelled over the Hottentots Holland mountains along the “Palmiet Rivier… Onrust Rivier… Mossels Rivier… Uijle Craal… Soetendaals Valleij… to Caab d’ Aguillas where they found the quarter master and twelve sailors alive and well”. On the return journey they encamped at the “Kleijnriviers Valleij”. In 1758 the grazing rights to “de Kleyne Riviers Valley” were granted to Michiel Rudolph Vlotman (16), married to Martha Hartogh (21), after one Frederik Heijlon had left the land. After Vlotman it was granted to a wealthy landowner, Jeremias Auret. 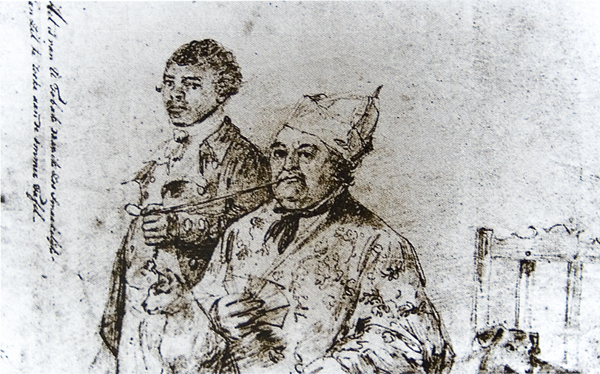 When his wife, Maria Anna Grové, died in 1764 in their house in the Table Valley the inventory of her possessions included many paintings, sculptures, two diamond rings with three stones each and various other gold and silver jewellery, a silver bugle, much silver cutlery and many slaves. In 1783 Auret abandoned “de Klyne Riviers valley” and his grazing rights were transferred to an acquaintance, Christoffel Brand (1738–1815). Brand had served as a soldier in the Dutch East India Company from age fifteen and later became VOC bookkeeper and eventually Postholder, then government Resident at Simon’s Bay. His main task was to attend to the Company’s ships, supplying fresh provisions, supervising the ships’ cargoes and recording the arrivals and departures of ships. The Brands led an active social life and entertained many well-known travellers, including Captain James Cook. In 1785 Johannes Henricus, Christoffel Brand’s son, received the loan place “de kleijne riviers Valleij, geleegen onder’t District van Stellenbosch” from the Governor in acknowledgement for the diligent, kind and helpful services rendered by his father to the Company. The British landed at Simon’s Bay (Town) while Brand was the Postholder and he was a signatory to the surrender of the Colony to the British in 1795. A grandson of Brand, Christoffel Joseph Brand became the first speaker of the Cape Parliament in 1854, and his son, Jan Brand, the President of the Orange Free State. The following day after “an excellent sleep in one of the tallest beds I ever saw, and a good breakfast – our own tea and sugar, but fine butter, eggs and milk – all the bruises tolerable… we determined to go [to the Drupkelders to the south, near the present Gansbaai], and Gaspar lent us one team of his master’s oxen, and sent another on before, that were more powerful, as a relay – the road being heavy beyond all description, particularly the latter part of it. We set off at eight o’clock, going for some time along the edge of the river… a quantity of game were bolted out on us… On these banks there grows in little bunches the Cokima-cranki [Kukumakranka, Gethyllis afra], or what I call the Hottentot pine-apple: it has the same colour, the same flavour, and is filled with an aromatic juice and seeds – which I do not recommend to be bruised with the teeth, as they taste of garlick… We passed through a low brushwood afterwards, the trees so close that they met over the backs of the oxen… this is a harbour for wild boars, of which there are a quantity here, and some tigers [leopards]. “When we had pierced through this, and travelled a few miles further, we met with our fresh oxen, and soon plunged into a pathless world, sandy, but covered high all over with evergreens of various descriptions.” They followed the same route back and reached Kleine Riviers Valley Farm at eleven that night. For almost thirty years Kleine Riviers Valley farm was the holiday home of the Brand family until in 1813 it was sold to Johannes Andreas Truter (later Sir John) “a new absentee owner, who came from the same social and professional background as the Brands” (Edmund Burrows, Overberg Odyssey). 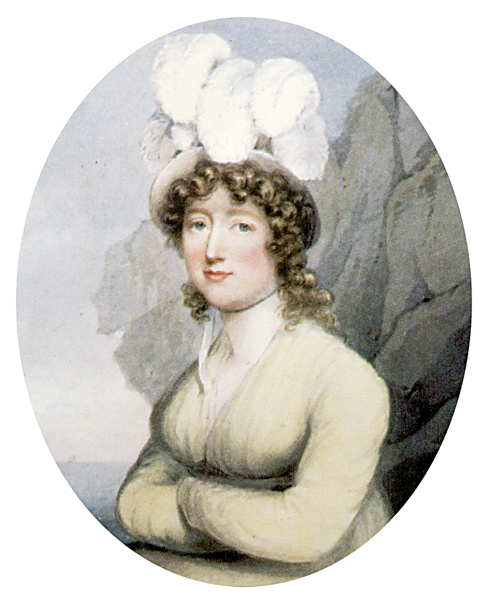 Truter was educated in Cape Town and obtained a doctorate of law at the University of Leyden in 1787. He entered the service of the VOC and was appointed Chief Justice in 1813. Truter, a dignified, able man of sound judgement and exceptional ability, according to Lord Charles Somerset, was devoted to his work and was knighted in 1820 in recognition of his service as Chief Justice – the first South African by birth to receive this honour. 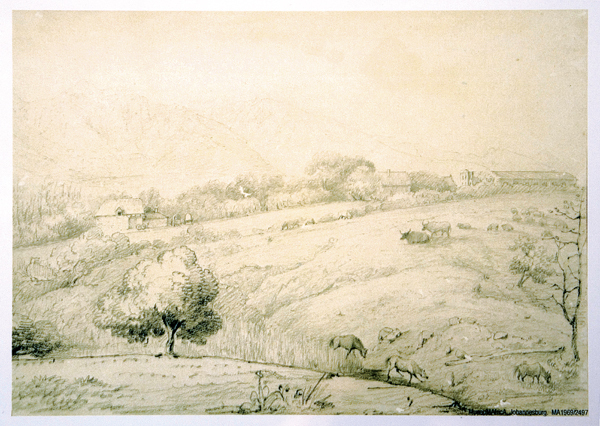 Sir John retired in 1828 and settled at Rondebosch, often visiting his farm at the Kleine River. “Next morning we crossed the river mouth and drove southwards between the sanddunes lining the shore and the tall, barren mountains to the left… The ground on either side of the road was densely covered with brushwood a yard and two high. I also noticed many new kinds of fauna, insects and flora, e.g. the waxbush. After driving along this heavy, exhausting road for some hours, we turned to the right and passed through the dunes to the beach…” They outspanned and spent the night at Strandfontein, visited the Drup Kelders the next day and after “a meal of fried fish we packed up and set off on the return journey, via Baviaansfontein and Uilekraal… From here we crossed the hills to a depression known as the Hell… Crossing the steep mountains [Paardenberg] from there we followed an undulating and difficult road to the farm of Jan Smal, lying to the south of Kleinrivierskloof, where we slept that night.” The following day they travelled back to Caledon along the mountains. Sir John Truter added six surrounding farms to the estate, including Zilvermijnsbosch, Wolwe Fonteijn, Spring Fonteijn and Middel Berg. In 1831 he sold everything to Major Samuel Parlby, the first Englishman to own a farm in the Overberg. In 1814 Java was given back to the Dutch and in 1815 the British Troops and Parlby returned to Bengal. “Before leaving Salatiza I gave the young woman 500 Spanish Dollars and the temporary house that I had erected…” When Parlby heard of the boy’s mother death in 1819, he sent for the boy and had him brought to him in Calcutta where he “immediately put him to school and had him well provided for”. Then in 1830 “having completed my time of service in India – and my wife to whom I was married in 1817 having died at Brighton in February 1828, leaving three children born by her (of whom the daughter [Annie Parlby]… afterwards came to me at the Cape…) …I determined to leave India altogether and return to England… my son wishing to accompany me I took him on board and February 1831 and we sailed to touch the at the Cape of Good Hope. Here the ‘Euphrates’ requiring repairs, I took the advantage of making a short tour in the Colony, which from its climate it had always been in favour with me… In this tour I visited the [8000 hectare] Estate of the late Sir John Truter, Kleyne River Valley, and was so pleased with it that I determined to purchase and settle there. Afterwards sending for my surviving son and daughter accompanied by a faithful servant to live with me at the Cape, having again married [the English-born Hester Vowe (23)].” Parlby apprenticed John to a brewer in Cape Town, but he hated the trade his father had chosen for him and returned home until his father found him another job. One of Parlby’s unsuccessful plans was a proposal to Overberg farmers to deliver their produce to the Cape market by sea, an idea subsequently successfully implemented by Captain Robert Stanford, to whom Parlby eventually sold his farms. “I made many improvements to my estate,” Parlby stated, “including the building of a beautiful water mill at great expense, introducing some valuable European stock and machinery, and made extensive plantations, enclosures and irrigations besides additions to the buildings. 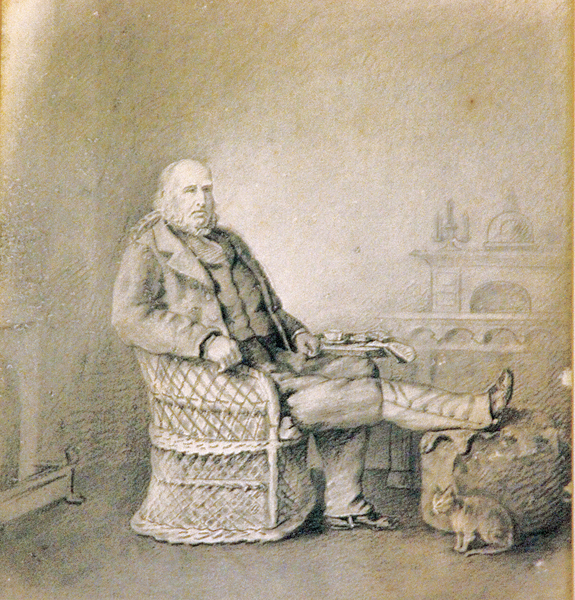 “I endeavoured to relieve myself of debt and at the same time introduce partners into my estate who would thus be further beneficial to the colony… in this I was successful, that Colonel Walker, late deputy Advocate General at Ceylon… had sent a portion of the capital to purchase one sixth of the estate for £1000… I can say, however, that individuals [referring to Captain Robert Stanford] would never have had possession of my estate, had he [Stanford] not broken his word, which I was unfortunate enough to trust – that my son should remain as superintendent of the estate with an adequate salary and share in the increase of the stock in future years – which promise he had broken, by only offering my son £60 a year without any share in the stock. “But, your excellency, surely after the loss sustained by the great national act of emancipating the slaves after having introduced so large a capital into the colony and expended it in improving one of the principal landed estates, I was as much entitled as the present possessor [Robert Stanford] to the assistance of the Orphan Chamber, and I can only account for the present advance by an undue… influence in the disposal of the Orphan Chamber funds, because the present possessor was only enabled to pay for the estate by an advance of £3000 from the New Bank for which Messrs Dickson Burnies & co was security, and which sum has, I have reason to believe, been called in and is thus repaid to the bank through the Orphan Chamber Funds. In 1850 Samuel returned to England. Emma died at Rondebosch in 1871. John remained at the Cape and lived on a farm which his father had bought for him in Oudtshoorn. At the time of his death (he committed suicide in 1862) he was a shopkeeper. As he died intestate and without heirs, the government sold his farm for £1000. In 1865 Samuel Parlby, by then apparently “old, blind and poor”, appealed through Sir Thomas Maclear to the government for the remains of his son’s estate. According to R R Langham-Carter’s article “Samuel Parlby: Man of many projects”, a Royal Warrant to remit the amount to England was sent to the Master of the Supreme Court in Cape Town, but the Advocate General raised objections and it seems that Parlby never received the money. Samuel Parlby died in Bristol in 1878, almost ninety. His dwelling in Stanford and the grave of his wife which has the first inscribed tombstone in Stanford, are the only two visible reminders of this man whom Sir John Herschel had thought to be “a remarkable man… a man of evident mentality, active, enlightened, enterprising… but enthusiastic and over sanguine”. He may have died a poor man, yet he had a full and interesting life! © Village Life/Annalize Mouton and Portrait of a Village, 2014. Unauthorized use and/or duplication of this material (text & photographs) without express and written permission from this blog’s author and/or owner is strictly prohibited. Excerpts and links may be used, provided that full and clear credit is given to Village Life/Annalize Mouton and Portrait of a Village with appropriate and specific direction to the original content.